PLANTATION, Fla. (WTVD) -- The Florida man arrested in connection to mail bombs sent to prominent Democrats, a Hollywood star and CNN's New York studios spent time in North Carolina. 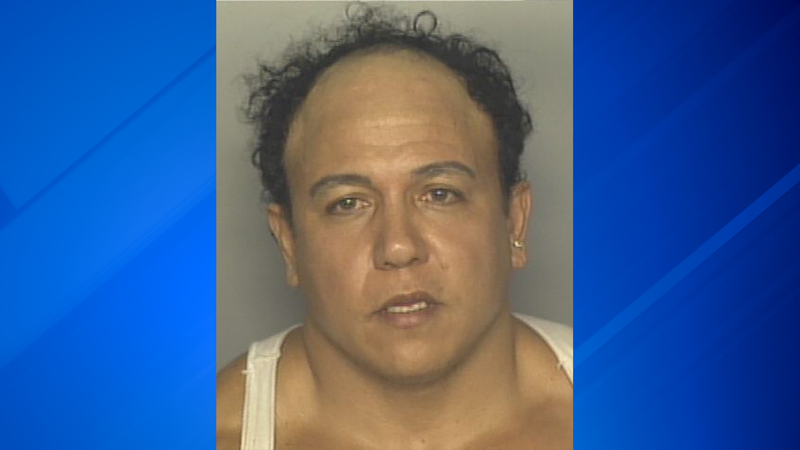 ABC News sources identified 56-year-old Cesar Sayoc of Aventura, Florida, as the man federal agents arrested in connection with the mail-bomb scare. While Sayoc is from Florida, records show he was born in New York and attended college in North Carolina. Online records show Sayoc attended Brevard College in 1981. Brevard is a city located south of Asheville. Sayoc was also a member of the Brevard soccer team. According to the Charlotte Observer, Sayoc also lived in south Charlotte in 2000. Court records show Sayoc has a history of arrests. He has been convicted of theft, stolen property and traffic charges and in 2002 on a threat to "throw, place, project or discharge any destructive device." A Twitter account that appears to belong to Sayoc includes repeated attacks on billionaire George Soros and praise for President Donald Trump and other Republicans. The tweets accuse Soros of paying off a victim from the Parkland mass shooting and accusing Florida gubernatorial candidate Andrew Gillum, a Democrat, of being a Soros puppet. The account also praises Trump and other Republicans. The account includes anti-Gillum memes, with one including the caption "$500,000 SOROS PUPPET." The Oct. 24 posting includes a photo of Soros doctored to look like he's holding a puppet meant to resemble Gillum. Law enforcement officers were seen on television Friday examining a white van, its windows covered with an assortment of stickers, in the city of Plantation in the Miami area. Authorities covered the vehicle with a blue tarp and took it away on the back of a flatbed truck. President Donald Trump promised Sayoc would be prosecuted to the "fullest extent of the law." The case against Sayoc will be handled by federal prosecutors in the Southern District of New York, ABC News reported. Sayoc is required to appear first in the jurisdiction in which he was arrested, the Southern District of Florida.